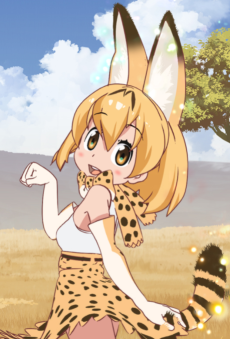 A serval cat Friend originally from the Savannah Area of Japari Park. She is the first friend to meet Kaban, eager to journey with her in the search for her identity. Energetic and curious, Serval is often amazed by the skills and talents of Kaban and the Friends they encounter on their journey.